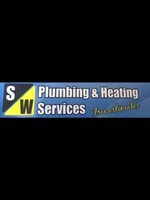 Sw Plumbing & Heating - Central Heating Engineer based in Southport, Merseyside. Hello, welcome to "SW Plumbing & Heating". My name's Scott and I’ve been in the trade for over 16 years. We are a small local company who provide a friendly and trustworthy service. We specialise in boiler breakdowns and full central heating systems. Also specialist in full system power flush with magna cleanse filter.